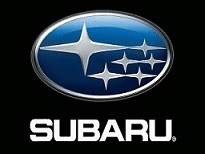 Thank you for your support at GOULBURN 2012, ULLADULLA 2013 and CABRAMATTA 2014. 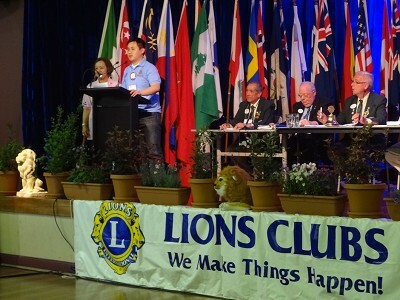 Our young people and two Leo Clubs were humbled and honoured to be given the responsibility of hosting you at Cabra-Vale Diggers Club from 10 - 12 October 2014. The Opening flag ceremony was held at the Golden Palace Restaurant. Thank you to the hundreds of delegates, Lions, Lionesses and Leos for describing the three days as the "best Convention in a long time." " Together Everyone Achieves More (TEAM) " - 2014-15 theme for our District Governor Lorraine Mairinger. 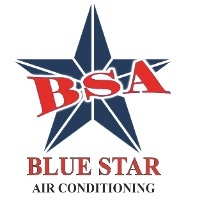 Official Convention Sponsors: Blue Star Air Conditioning | Subaru | ibis Styles Sydney Lansvale Hotel | Cabra-Vale Diggers Club | Rejuvenate Now Beauty Salon | Dragon Home Loans | Ettason Pty Ltd | Australian Chinese Buddhist Society Mingyue Lay Temple | Australian Chinese Youth Sports Federation | Kimarie Cosmetics & Lingerie Boutique | Fairfield City Council | Lucky Butchery Cabramatta | Iron Chef Seafood Restaurant | Cabramatta Chamber of Commerce & Industry | Alan Wong Optical | Yummi Sweets | Minh Hung Hot Bread | Wing Hong Foods Fortune Cookies | Neighbourhood Watch Cabramatta West | Canley Heights Newsagency | Natalie Olive Marriage Celebrant | Lu Group. Booth Displays: NEWCASTLE 2015 National Convention MD 201 | WOLLONGONG 2015 District Convention N2 | SUBARU | Global Leadership Team | Lions Nurses Scholarship Foundation | Lions Australia Spinal Cord Fellowship | Lions Clubs International Foundation | Hearing Dogs | Lions International Peace Poster | Eye Health Program | FlashID card emergency identification system | Lion Mints and Caramel Fudge | Australian Lions Foundation | Australian Lions Children's Mobility Foundation | Childhood Cancer Research Foundation | Drug Awareness Foundation | NSW ACT Save Sight and Public Health Care Foundation | Organ Donors, Prostate Cancer and Diabetes Awareness Projects | 50 / 50 Pathway Project | Youth of the Year | Christmas Cakes and Puddings | Leo Clubs. The Lions Club of Cabramatta / Cabra-Vale Inc. wants to bring you to Australia's most ethnically and culturally diverse suburb, with more than 80% of our residents born overseas. Our federal member of parliament was the late Hon. Gough Whitlam AC QC, who resided in Cabramatta and was also Prime Minister of Australia from 1972 to 1975. Cabramatta is located in Sydney's western suburbs, between Fairfield and Liverpool, 30 kilometres south-west of the Sydney CBD. It is well-known for having the largest Asian community in Australia and hosting one of the largest Lunar New Year Festivals outside of Asia, including the Cabramatta Moon Festival attracting more than 90,000 visitors on that day. The presence of a migrant hostel next to Cabramatta High School shaped our community in the post-war period, particularly after the Vietnam War. In the first phase, large numbers of post-war immigrants from Europe, particularly from Macedonia, Serbia and Yugoslavia, settled in the surrounding suburbs in the 1950s. Starting in the late 1970s, the migrant hostel hosted a second wave of refugees, as a result of the Vietnam War. 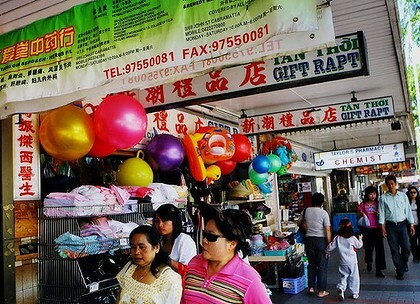 During the 1980s, Cabramatta was transformed into a thriving Asian community and could have been confused with the streets of Vietnam, Cambodia and China. If you want to visit Asia and enjoy great authentic Asian foods at low prices without jumping on a plane! 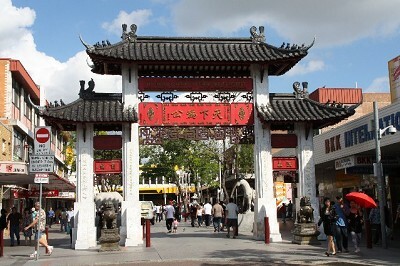 Come and see our famous Pai Lau Harmony Gates in the Freedom Plaza! We have award-winning restaurants, which serve international cuisine from over 20 countries around the world, including, Malaysia, Cambodia, Thailand, China, Vietnam, Korea, Japan, Lebanon, Serbia and Iraq. Please also sample our large range of bargains in stunning fabrics, jewellery and jade. 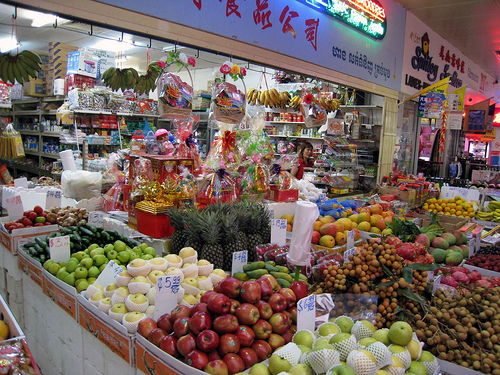 Our grocery stores sell exotic fruits and vegetables, as well as, Asian herbs and spices. The shops are also happy to explain how you can use these in your cooking! The area also hosts different ethnic Asian and European places of worship, as well as, the Fairfield City Museum & Gallery. The secret is slowly getting out and that Cabramatta is a hidden gem. 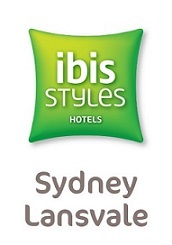 It features one of Australia's largest multicultural restaurant and shopping precinct.